Behavior of Covington boys wasn’t surprising, but what now? At this point in the Trump presidency, just the sight of yet another “Make America Great Again” hat angers me. To me, it’s a symbol of the intense bigotry and hate that this presidency has represented for the last three years. So when footage appeared last week of Kentucky Covington Catholic School student Nick Sandman wearing a MAGA hat at the March For Life and smirking in the face of Elder Nathan Phillips, who was attending the Indigenous Peoples March the same day, I was a lot of things. I was furious that Sandman—and his authority figures—thought this behavior was appropriate. I was disappointed that instead of recognizing this behavior as hateful and wrong, President Trump once again defended the actions of a person with a strong case against them. But I was certainly not surprised. 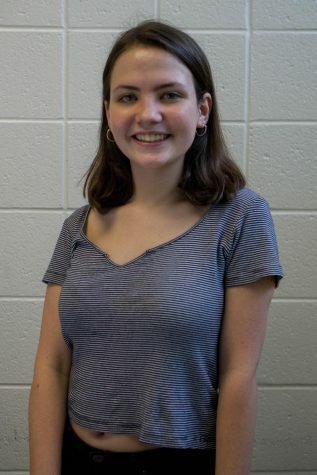 It’s not the first time in the last three years that inexcusable behavior has been pushed aside and ignored by Republicans in government; Charlottesville was blamed on “both sides,” another man accused of sexual assault was confirmed to the Supreme Court and now President Trump is excusing a group of young boys for their disrespectful behavior because he sees it as another attack from ‘Fake News’ outlets. 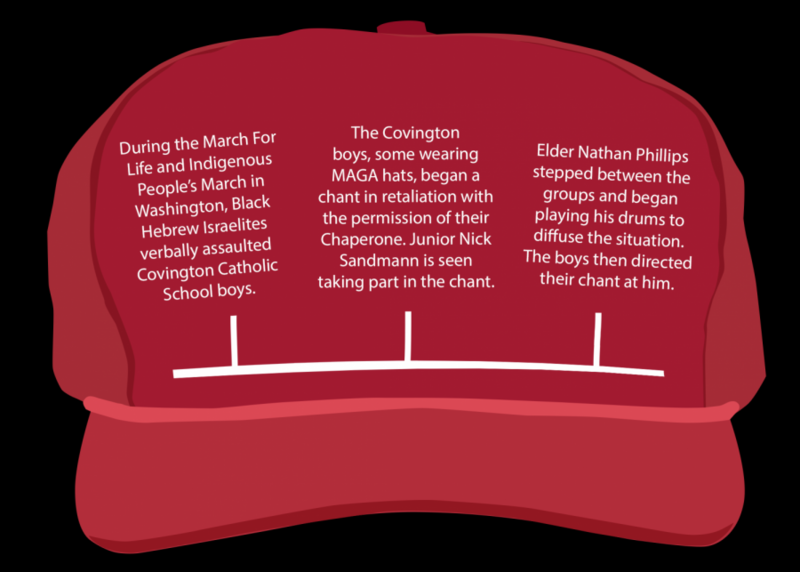 The Covington School boys were chanting loudly, yelling at Phillips and shown in some videos making Tomahawk chops. At one point, one of the boys even took off his shirt to lead his classmates in “school spirit chants.” Overall, not respectful behavior at all. Although our president may excuse this kind of behavior, we as American citizens cannot. And to take that step, it’s also important to understand that the boys from the Covington Catholic School are not the only people we should hold accountable for what happened. First, it’s important to acknowledge that prior to the boys’ taunting of Phillips, a group called the Black Hebrew Israelites verbally assaulted the boys. The group reportedly called the boys derogatory names—slurs not appropriate for a school newspaper. This prompted Phillips to step between the group and play his drums in order to defuse the situation, Phillips said in a Washington Post interview. The Black Hebrew Israelites are also in the wrong for yelling those hateful words at a group of high school boys. Their behavior is indicative of the overwhelming presence of hate in this country. But to use this argument to excuse the students’ behavior toward Phillips is counter-intuitive: there was no reason to be so disrespectful to a person who was simply defusing the situation. Second, it’s crucial to recognize that the boys should have been taught better. According to Sandman, they asked their chaperones if they could start chanting. And their chaperones didn’t have the two cents to realize that this was not the appropriate way to respond. Authority figures condoning this behavior only makes the perpetrators less accountable—and this in a situation where accountability is the only effective solution. Both parties should be able to recognize that disrespect and any form of hate are unacceptable. At all. It seems obvious that racism, homophobia, sexism and anti-Semitism are behaviors that we should never excuse. As soon as we can all come to the consensus that these hateful ideologies are wrong, we’ll already be one step closer to having a less divided nation—one that actually reflects the dream of equality this country is known for. Make America Great Again! Love the hate!